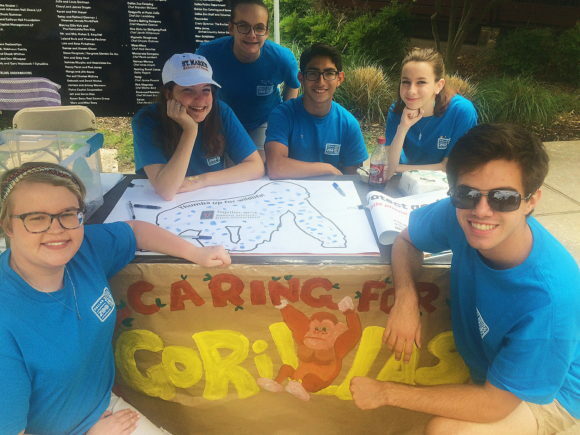 We’ve just wrapped up our second year of Zoo Corps, and I couldn’t be prouder of this year’s group of amazing high schoolers. Our youth-led conservation team meets twice a month throughout the school year and selects an important conservation issue to address. 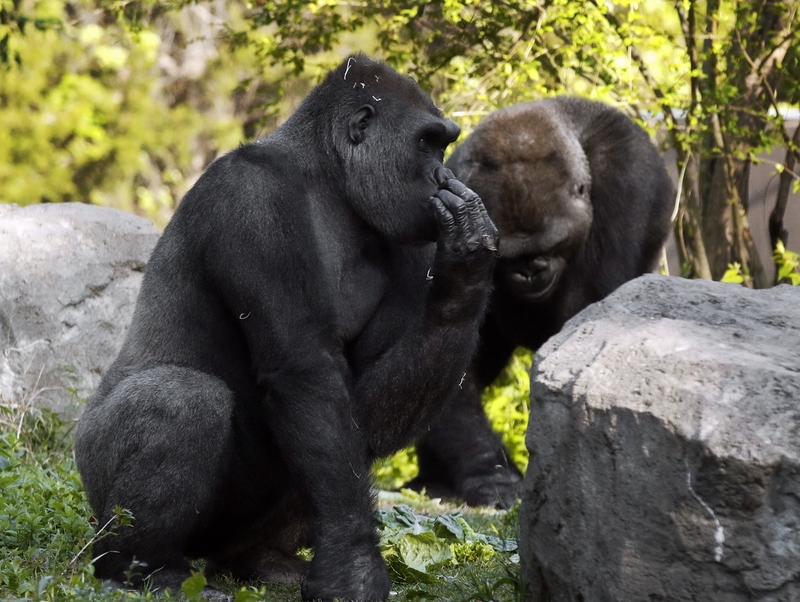 While I provide guidance along the way and connect the team with knowledgeable Zoo staff, these teens do it all – from conducting research to making key decisions. This year’s group selected deforestation as their issue to tackle. Although a multi-faceted and daunting issue, the teens came up with a creative and effective way to make a positive impact. 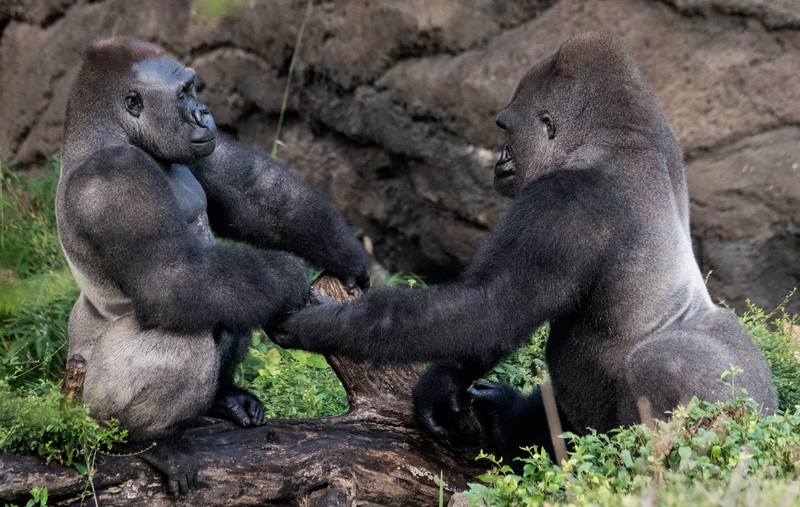 During Endangered Species Weekend, Zoo Corps launched a new initiative to help save gorilla habitats and encourage Zoo guests to reforest their own backyards. 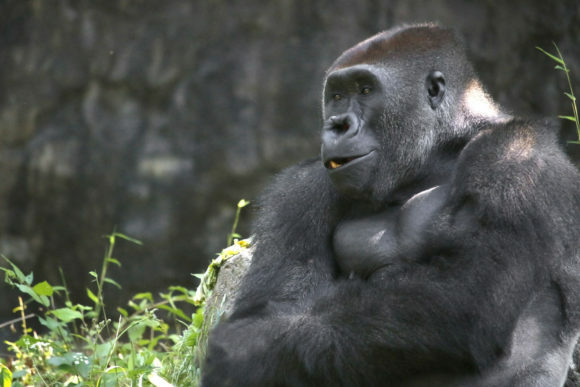 As you may have read in their earlier blog post, gorillas, chimps, okapi and many other animals who call African rainforests their home are losing this critical habitat. 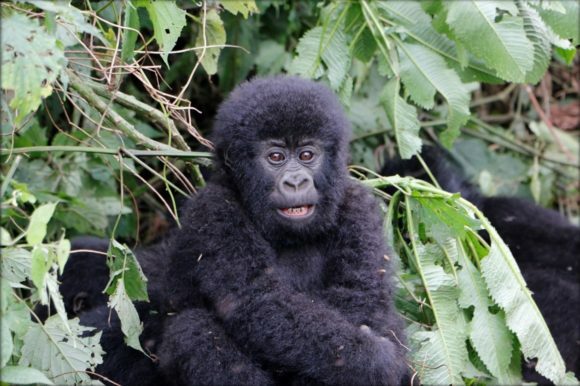 Much of this habitat loss is due to mining coltan, a mineral used to manufacture electronics such as cell phones and tablets. 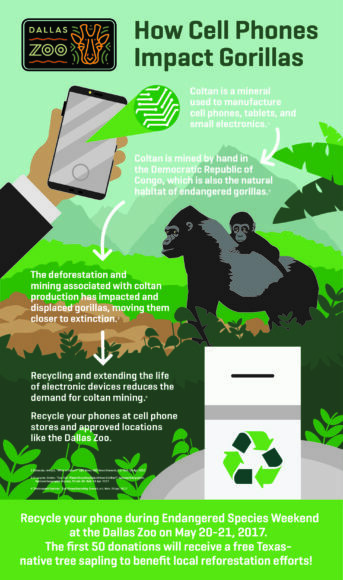 By recycling or extending the life of these devices, you can help reduce the demand for coltan, and ultimately help save gorilla habitat! While the potential for storms seemed to keep some people away on Saturday, May 20, we had a great turnout on Sunday, May 21, and overall, the weekend was a success! We collected a total of 56 devices, including phones, tablets and MP3 players. Each will be recycled with ECO-CELL, a handheld electronics recycling company founded in 2003. 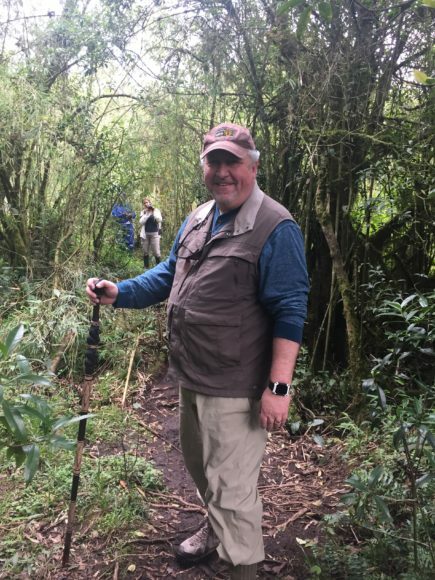 Though team members were initially concerned about saving habitat in Africa, they also wanted to save wildlife in their own backyards. 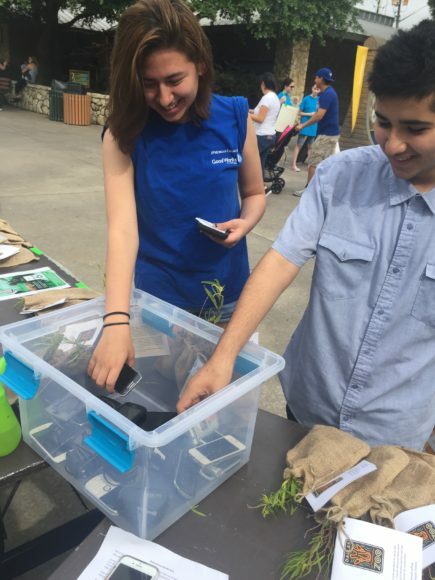 To help local wildlife, the teens gave out Texas native tree saplings to Zoo guests who brought a device to recycle. 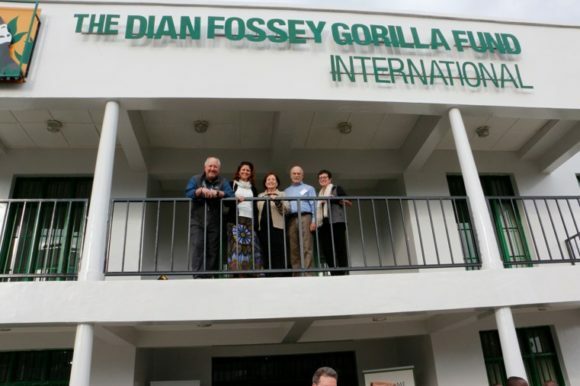 They also engaged visitors in conversations about gorillas, giving out saplings to guests who could answer trivia questions about the great apes. 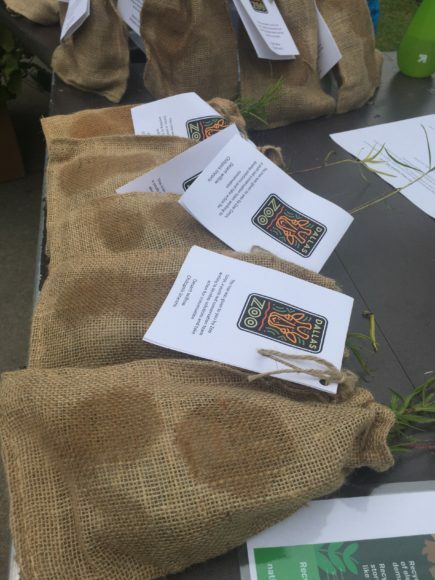 In total, Zoo Corps gave out 100 tree saplings from Texas Trees Foundation that were ready for guests to take home and plant in their yards! 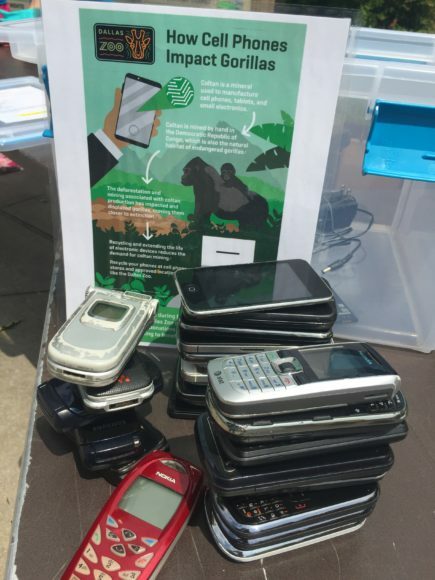 In addition to the Zoo Corps cell phone recycling drive, Endangered Species Weekend featured 7 stations around the Zoo where visitors took specific pledges to help protect wildlife. Pledges were simple tasks that anyone can do, but they can make a big difference in small ways! 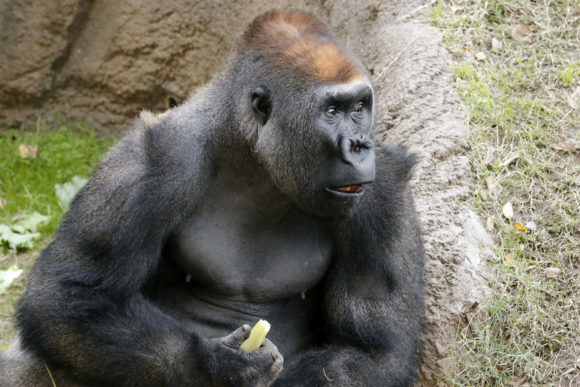 In total, there were 3,200 pledges to save wildlife, with 250 specifically for gorillas. 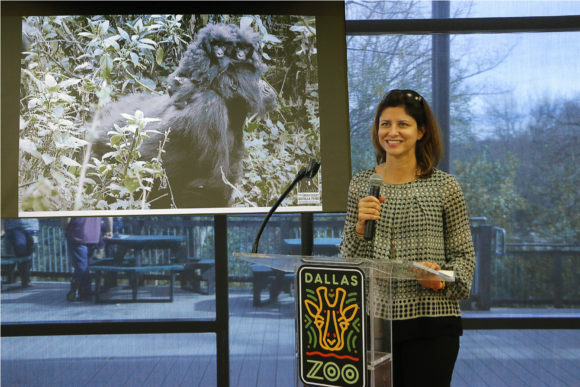 I could not be more proud of these students who have so much passion and drive to save endangered species, and I look forward to welcoming the 2017-2018 Zoo Corps group who will make their own difference in the world. Applications will be live this August for students who will be in grades 9-12 for the upcoming school year. If you didn’t make it to Endangered Species Weekend, you can still recycle your small electronics any time you visit the Zoo.